Dana Clarke has always longed for the stability of home and family–her own childhood was not an easy one. Now she has married a man she adores and is about to give birth to their first child. But though her daughter is born beautiful and healthy, no one can help noticing the African American traits in her appearance. Dana’s husband, to her great shock and dismay, begins to worry that people will think Dana has had an affair. The only way to repair the damage done is for Dana to track down the father she never knew. Dana’s determination to discover the truth becomes a poignant journey back through her past that unearths secrets rooted in prejudice and fear. 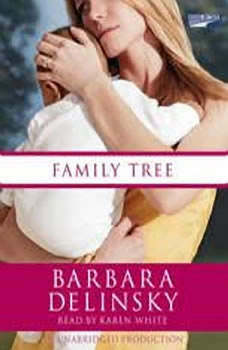 Barbara Delinsky’s FAMILY TREE is an utterly unforgettable novel that asks penetrating questions about race, family, and the choices people make in times of crisis–choices having profound consequences that can last for generations.